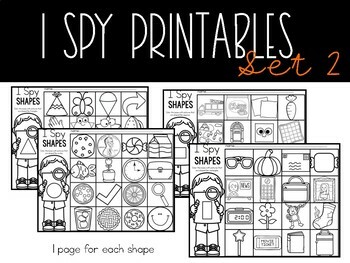 I Spy Shapes is a great activity for introducing shapes. 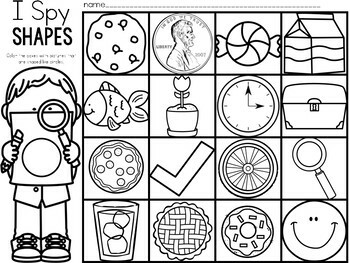 Student practice identifying triangles, rectangles, circles and squares. 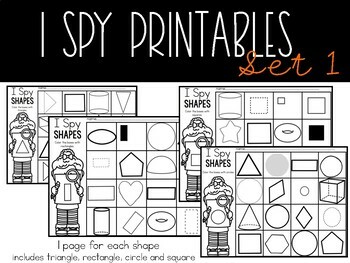 These simple printables allow students to show their understanding of 2D shapes. 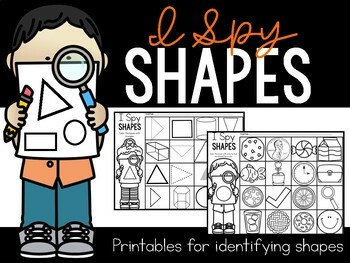 Students identify shapes and search for pictures of objects with similar shapes.